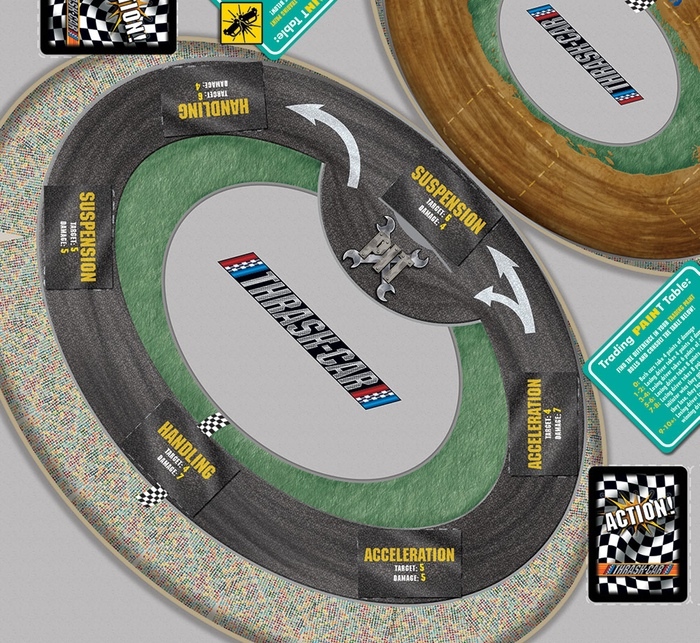 The Enhancement cards are used on your placard to provide you a special ability you can use once per lap. 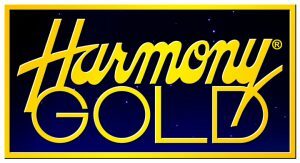 Those abilities are many and varied. 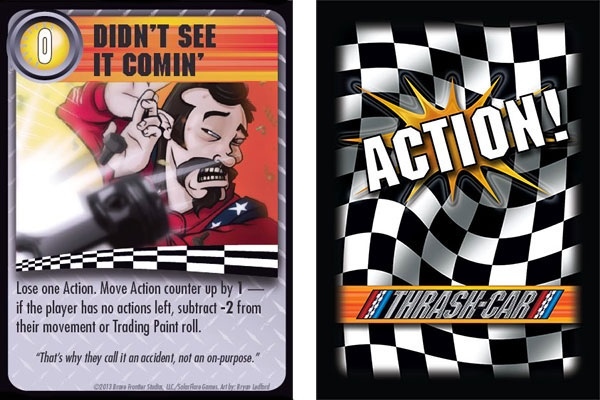 The Action cards are used while your race to help your rolls or to hurt your opponent’s. 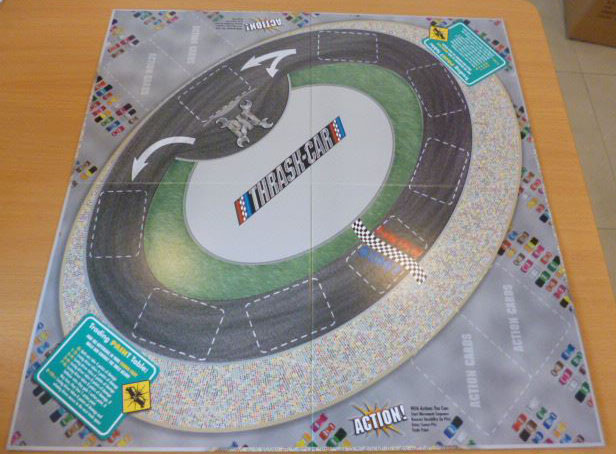 The Track cards are drawn at random each race and determine the racing conditions for your race.